Research Engineer at NAVER LABS Corp.
Junho Jeon, Jinwoong Jung, Seungyong Lee, ”Deep Upright Adjustment of 360 Panoramas using Multiple Roll Estimations,” ACCV 2018. Junho Jeon, Jinwoong Jung, Jungeon Kim, Seungyong Lee, ”Semantic Reconstruction: Reconstruction of Semantically Segmented 3D Meshes via Volumetric Semantic Fusion,” Computer Graphics Forum (special issue on Pacific Graphics 2018), Vol. 37, No. 7, October 2018. Junho Jeon, Seungyong Lee, ”Reconstruction-based Pairwise Depth Dataset for Depth Image Enhancement Using CNN,” European Conference on Computer Vision (ECCV), 2018. Junho Jeon, Yeongyu Jung, Haejoon Kim, Seungyong Lee, ”Texture Map Generation for 3D Reconstructed Scenes,” Visual Computer (special issue on CGI 2016), Volume 32, Issue 6, pp 955-965, June 2016. 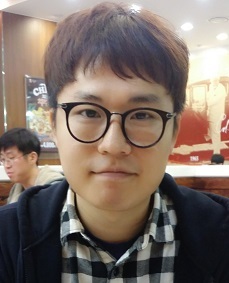 Junho Jeon, Seong-Jin Park, Hyeongseok Son, Seungyong Lee, ”Computational Photography Software using Deep Learning: Perceptual Image Super-Resolution and Depth Image Refinement,” ECCV Demo Session, 2018. Eunbin Hong, Junho Jeon, Seungyong Lee,”CNN based Repeated Cropping for Photo Composition Enhancement,” CVPR Scene Understanding Workshop (SUNw), 2017. Junho Jeon, Hyunjoon Lee, Junho Kim, Henry Kang, Seungyong Lee, ”Kernel Carving for Structure-Preserving Image Smoothing,” International Workshop on Frontiers of Computer Vision (IW-FCV), 2017. Junho Jeon, Daehoon Yoo, Seungyong Lee, ”Fast Indoor Structure Analysis of Single RGBD Images,” CVPR Scene Understanding Workshop (SUNw), 2015. 2016. Fellowship, Naver PhD Fellowship, Naver Corp.
4F, Bundang M Tower, 8 Gumi-ro Bundang-gu, Seongnam-si Gyeonggi-do,13638, Korea.